Sounds like you are overpaying said vendor. I watched a video with one of the Superformance GT40s in it and now I want one. 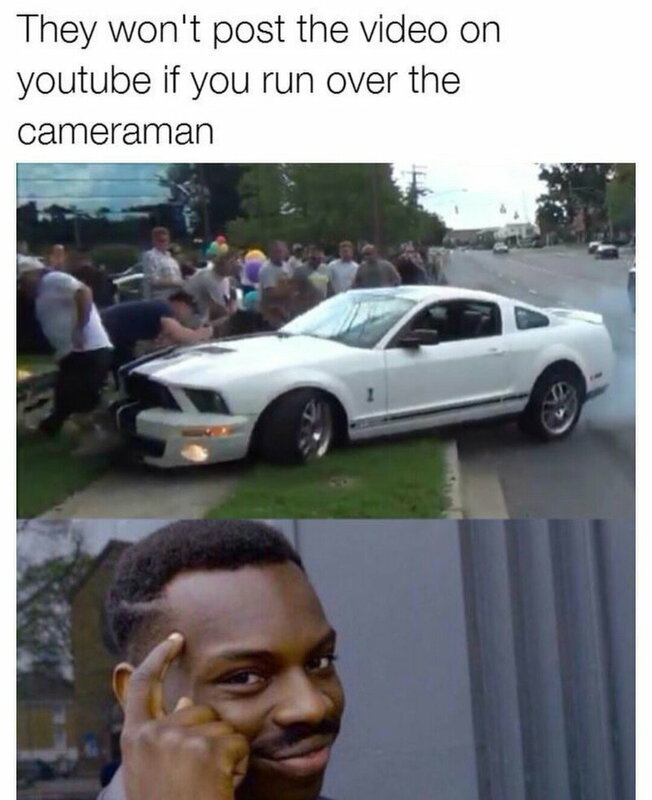 Maybe I'll do that if the GT350 never shows up. Since it's a kit car I should be able to have them fab me a tow hitch so I can use a GT40 to tow an Atom to the track. Edit: Is that still a thing? I remember there being a rash of those years ago, but I haven't seen anything recently? Last edited by NFSEvolutionGSR; Mar 4, 2019 at 04:47 PM. The hitting people at cars and coffee? It's still a thing. Other cars obviously do it too, but the Mustangs are still the meme. My order is officially in with Ford and I'm priority 11, which usually means you are the second one for the dealer (they usually start at 10 each model year so they can slip in rush jobs under if they need to) but it's a small dealer so who knows if they will even get the allotment. If they don't, then it will kick back the order later. I knew their for stock car was going to be ahead of mine, they offered it to me but it has the couch seats which I don't want. So a family friend invited me for coffee this morning, which isn't really something we do, and so I figured there was some sort of problem he wanted help with. We get there and my dad is sitting with some old dude and some young girl. Apparently they are trying to hook me up with my dad's heart surgeon's 23 year old daughter. And they though the way to do that was to introduce me to her and her dad at the same time. Which he didn't inform me of until after we had left with the coffee. Even if I had known the plan, what am I supposed to do in front of her dad, let alone my dad all giggling and winking like some old pervert. Friend's GF apparently knows her, they are trying to set up a double date now. IDK it just seems weird to me. I've never really been the guy to hook up with family friends, well other than my mom's friend who was also 23 at the time haha. What kind of 23 y/o agrees to something like that? What does he sell? I am apparently in the wrong business. Jet fighter aircraft parts are a hot ticket, but they are not $200,000 Porsche hot. A fat and/or ugly one. I think there is a fair amount of family money involved. In my experience the only people getting rich in racing are the people who are already rich. Pareto principle in action. She has a little meat but not fat, and not my type as far as facial type but not unattractive. She finished school recently and doesn't know many people in the area and is living with her father, idk if she is working. Everyone who knows her says she is nice and smart and I just don't know wtf is wrong with her but there must be something because she supposedly is down for a blind date with a 40 year old that from what I've been told has less money than her family so probably not gold digging. But there has to be something. Maybe she used to have a tail. Fastest way to become a millionaire in racing is to start out as a multi-millionaire. I know people who are trying to get into breeding racehorses. That is going to end well. She has a little meat but not fat, and not my type as far as facial type but not unattractive. You paint such a vivid picture. I was at lunch with a coworker and she started rubbing her *****. I wasn't sure how to deal with the situation, so I turned around in my chair (so facing away from her) and asked her to let me know when she was done adjusting herself. Margaritas may have been involved. You have some ****ed up coworkers.